While the jury is still out on how practical bendy phone screens will be, the tech behind them is still one of the most lucrative trade secrets in the industry. So it probably doesn’t come as a surprise to hear that the CEO of a Samsung supplier and eight employees have been charged by South Korean officials for trying to sell the flexible screen tech to a Chinese competitor. The components in question have been billed as “3D lamination” tech, which include things like bendable OLED panels, shock-absorbent films, and flexible adhesives that are used to create Samsung’s Infinity Flex Display. In the end, the whole scheme reportedly unraveled when the Samsung supplier was caught loading components onto a ship destined for mainland China. We may never know which Chinese manufacturer was trying to buy the tech, as the names of the companies and individuals in this case have not been disclosed. 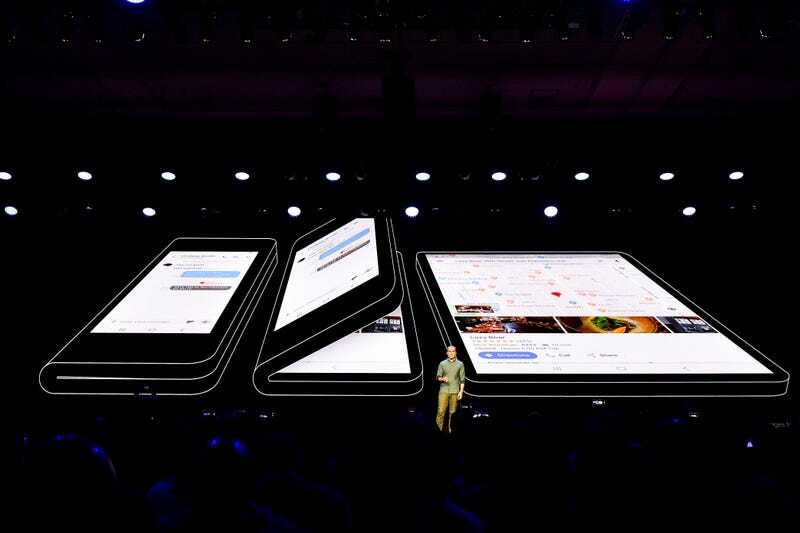 With the looming arrival of Samsung’s first bendable-screen phone scheduled for sometime next year, this case may be the highest-profile example of the dastardly ways tech companies are trying to keep up with one another. And while Samsung may have stopped one company selling its secrets for now, it’s only a matter of time before that knowledge gets out.